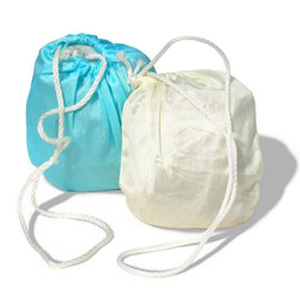 Replacement bag for Crystal Ball bath dechlorinator, contains 1 bag. 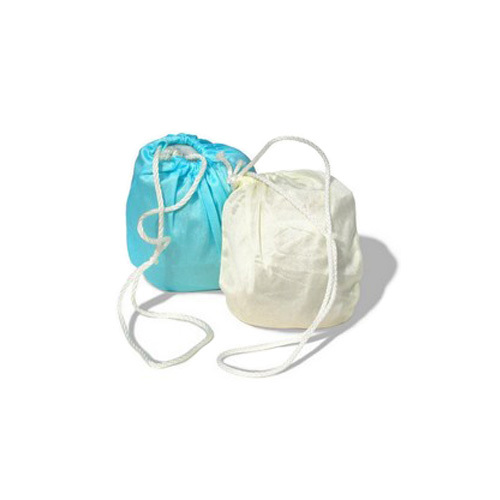 Nylon tricot bags available in two colors: Aqua or ivory. Package contains one bath ball replacement bag that lasts over 200 baths! Replaces existing pouch in a Rainshow'r Bath Ball with the new one, and use as directed while taking a bath. Crystal Bath Ball filter removes 90% or more of your chlorine. The filter media uses extra fine KDF filament. 1.5 oz of filament provides large and very efficient area for rapid water dechlorination in your bathtub, jacuzzi, spa, etc. The Bath Ball also contains 1 oz. of U.S.-mined crystalline Quartz, same as in Rainshow'r shower filter. Quartz has effect of reducing surface tention and increases suds and lather. This system replaced old BATH-2000 Bath Ball. It is an almost identical unit, slightly larger. RB-2 (RB-2000) and RB-3 (RB-3000) relacement bags will fit in both BATH-2000 and BATH-3000 Bath balls. Price on those is the same.